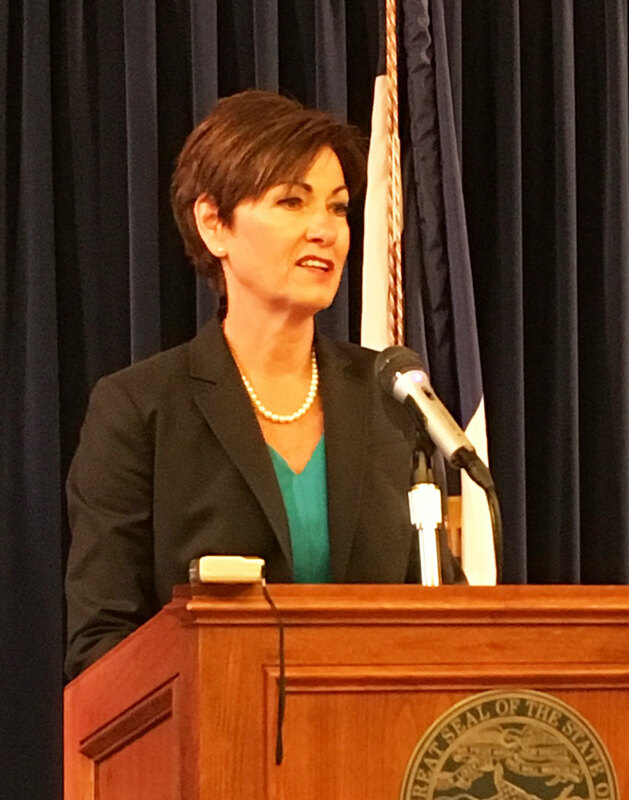 Republican Governor Kim Reynolds today said the state tax code “does not align with today’s economy,” and she’s “open to all aspects” of tax reform in 2018. State tax revenues currently are running far below expectations, however, prompting plans for extraordinary measures to ensure the current year’s state budget doesn’t slip into a deficit. 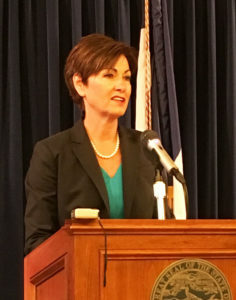 But Reynolds said any tax reforms must be “sustainable” and cannot endanger previous state funding promises to schools. House Democratic Leader Mark Smith issued a written statement, saying the state’s in a financial quandary now because of “corporate tax giveaways” that have “slowed the state’s economy” rather than stimulate it. He said university students are being forced, instead, to pay higher tuition and property owners are paying higher taxes.